Małgorzata Szumowska is the third Polish filmmaker to win the Silver Bear for Best Director at the Berlin International Film Festival. In 1994, Krzysztof Kieślowski was recognised for his work as a director on Biały, while in 2010 Roman Polański received the award for his feature Ghostwriter. Set in present-day Poland, BODY/CIAŁO is the story of three individuals - a prosecutor (Janusz Gajos), his anorectic teenage daughter (Justyna Suwała), and their therapist (Maja Ostaszewska), a woman with paranormal abilities. "The script [took a long time to develop]. We started at the beginning with the idea of making a movie about anorectic girls, but pretty fast we rejected the idea of doing a movie only about anorexia. We found it too hermetic somehow. Too brutal, too violent in a way, [...] to present that kind of closed world [...] might not be understandable for the audience. That's why we started to think about [the] body as a subject of the movie and the different relation[s] to the human body. [The] first idea was an anorectic girl, who turned, in the end, in the movie, into a bulimic [...] The father, who has contact with dead bodies - it's a kind of physical touch of death, I would say. And a woman who is searching for an 'astro,' the ghost, and doesn't care about her physical body somehow. It's like three aspects of [the] body," said Małgorzata Szumowska at the press conference. BODY/CIAŁO has received great reviews from Variety, Screen Daily and The Hollywood Reporter; their critics expect the film to succeed in the festival circuit. "Daring, unpredictable, moving, intense," tweeted Karel Och, artistic director of the Karlovy Vary IFF, immediately after the first screening of Body. The film is "a darkly comic rumination on what it means to be alive, how humans deal with loss and the question of what comes after," according to Variety critic Peter Debruge. "Body is fresh and original enough to attract some arthouse interest in selected territories," writes Lee Marshall for Screen Daily, noting the similarities between Body and the films of Krzysztof Kieślowski. "A quirky, intriguing drama with supernatural overtones sees [...] Małgorzata Szumowska shift into an unexpected, and refreshing, darkly comic mode," notes Marshall, focusing on Janusz Gajos' performance. Lee Marshall also writes: "balanced neatly between ghost story and family drama, scepticism and belief, Body is an intriguing study of imperfect bodies in an imperfect world, and the tricks the mind plays to make things better." The reviewer for The Hollywood Reporter notes that "performances are strong from all three principals," and states that "promising newcomer [Justyna] Suwała is especially memorable." "One of the most surprising and exciting films of the 2015 Berlinale"
The Frankfurter Allgemeine Zeitung has also published an enthusiastic review of Szumowska's feature. In his piece entitled "Spuk als Familientherapie," Dietmar Dath writes: "Neglected topics, situations, scenes and figures: The Polish production BODY/CIAŁO is [...] one of the most surprising and exciting films of the 2015 Berlinale so far." He later notes: "[...] with dark comedic composure, in ninety minutes Szumowska composes a whole new genre: a ghost film, in which it's the people who haunt." The reviewer also praises the performance of Janusz Gajos, whom Dietmar Dath calls an "excellent actor." 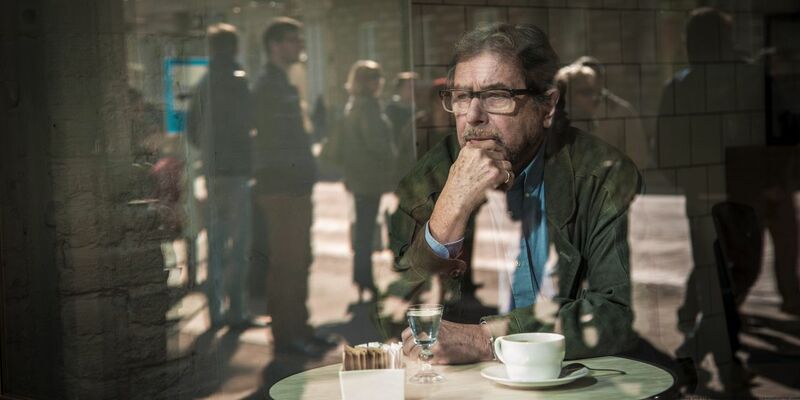 As the piece wraps, Dath notes that "the ending of Szumowska's BODY is one of the most surprising and yet most consistent offered this far by the festival; two people looking at each other, happy in mourning, free, defeated, and no longer alone." "A Simple, Clear, and Consistent Film"
"This is the best and most complete film by Małgorzata Szumowska," writes Małgorzata Sadowska in her review. According to this Newsweek film critic, Body is a film "helmed with a certain lightness of touch, but one that carries some weight; a simple, clear, and consistent film. The body of Poland is crippled, yet treated with tenderness," writes Sadowska.